Hello people! Sorry for the hiatus as I got very lazy to update my blog lately after a whole day of classes and gym training (again on alternate days). Happy news! I've dropped 0.1kg in 4 days! Well not that impressive, but my bodyfat percentage dropped from 28.9% (on Monday) to 27.6% (on Friday), which is surprisingly lower than that before CNY (28%)! Good progress I think, lose fats but gain muscles to accommodate the weight lose. My dinner for every weekday is just as simple (and healthy?) as follow: 1 apple, 2-3 small bananas, 2 slices of wholemeal bread with peanut butter spread and about 200ml of low fat milk. That sounds a bit like my breakfast, without eggs. I'm done with my dinner. =) Yes I might get hungry when the time passes 11.30pm, so I would usually drink some low fat milk or maybe just plain water to kill my hunger temporarily. And I will sleep early, usually around 12.30am. Recently I've asked a question to a staff working in the HR department with my sponsor, and the answer clarified everything that I would need to know regarding my decision on UK universities. I was proposing an alternative whether I could self-sponsor for my final year of MMORSE in the University of Warwick, and what she replied was, reaffirming yet hope crushing, answer. It would be a deferment of my service with the Bank by so doing, which is not permissible since year 2011. Strong answer, I thought. Because of this answer I've since decided my firm and insurance universities. 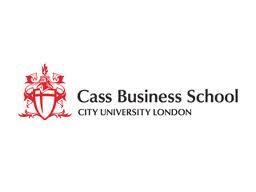 Actuarial Science (3 years) at Cass Business School would grant me maximum number of 8 papers exemption from the Institute of Actuaries UK, while MORSE (3 years) at the University of Warwick would only grant me maximum number of 2-3 papers exemption. Before this, MMORSE (4 years) is longer in time frame and less one paper exemption (7 papers) than Actuarial Science (3 years) at Cass, but the fact that I am opened to choosing many interesting and fun optional modules totally surmounts the disadvantages of longer time frame and lesser paper exemption. Now, the cost of taking another 5-6 papers on my own (should I choose MORSE over Actuarial Science) is, in my opinion, more immense than the satisfication I would otherwise gain by taking up those optional modules offered in MORSE. I still can't believe that I would not have the chance to learn number theory formally. =( Number theory, Geometry and Motion, Quantum Phenomena, Particle Physics, Astronomy, Classical Mechanics and Relativity, Stars, Galaxies etc. All these are some of the optional modules that I find it interesting and yearn to learn, and would never had the chance to learn it in Cass. This is one of many moments when I'm envious over the freedom of private students.